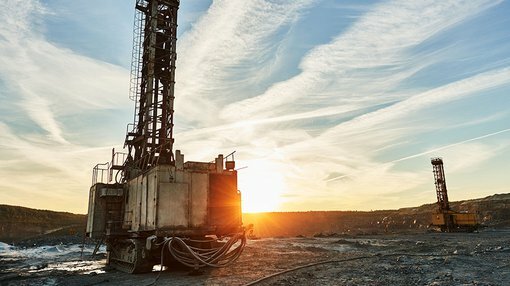 EHR Resources (ASX:EHX) and its joint venture partner, Eloro Resources, have both updated the market regarding results of the recently completed first reconnaissance drilling program at the La Victoria Gold-Silver Project in Peru. As noted in Eloro’s announcement, this initial reconnaissance drilling has intersected 7.31 grams of gold per tonne over 3.4 metres in the upper part of a major epithermal system. 2,261 metres of reconnaissance diamond drilling in eight holes at the Rufina Target on the La Victoria gold property has been completed. This will now be followed up with further deeper drilling in the Rufina zone to test for potential high-grade zones below this upper area. In commenting on today’s announcement, Eloro CEO Tom Larsen said: “We are now proceeding with deeper drilling on the Rufina zone. The reconnaissance drilling completed thus far is primarily in the hill side, hence the deeper part of the system is potentially just below the level of the main access road where there are a number of artisanal workings. P.Geo. 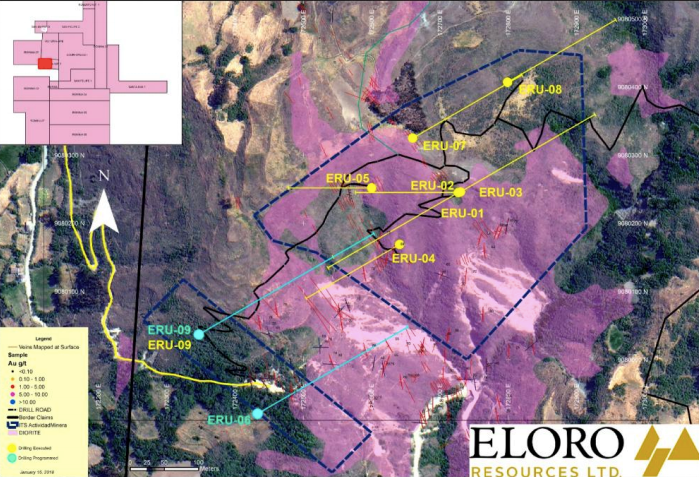 Chief technical advisor for Eloro, Bill Pearson said: “All of the reconnaissance drill holes intersected wide zones of mineralization and alteration with a significant number of gold intersections in different structures. “This initial drilling intersected the upper part of a classic ‘flower structure’, hence further drilling needs to be deeper to test for potential bonanza-style gold mineralization. Dioritic rocks, which are the principal hosts for gold mineralization, were intersected in all but one (ERU-08) of the holes reported. Pearson also noted that the geological work done so far indicates an extensive multi-phase low sulphidation epithermal gold mineralising system on the La Victoria property which extends from Rufina north-eastwards to Victoria-Victoria South — a distance of some 2.5 kilometres. “Gold mineralization occurs in a variety of structural settings both parallel to the northeast trending Puca Fault as well as perpendicular along likely tear faults related to this structure. Mineralization has been identified vertically over 1 kilometre from elevation 3100 metres at Rufina to elevation 4200m at San Markito as well as along strike on different structures for up to 3+ kilometres,” Pearson concluded. EHX has until February 20 to elect to proceed to the Stage 2 earn-in period, whereby it could acquire an additional 15 per cent interest in La Victoria by spending an additional CAD$3 million on exploration on the project by July 31. EHX’s Peruvian subsidiary currently holds a 10 per cent interest in La Victoria.